Pre-heat oven for 425 degrees F and prep your baking sheet with aluminum foil and olive oil spray. 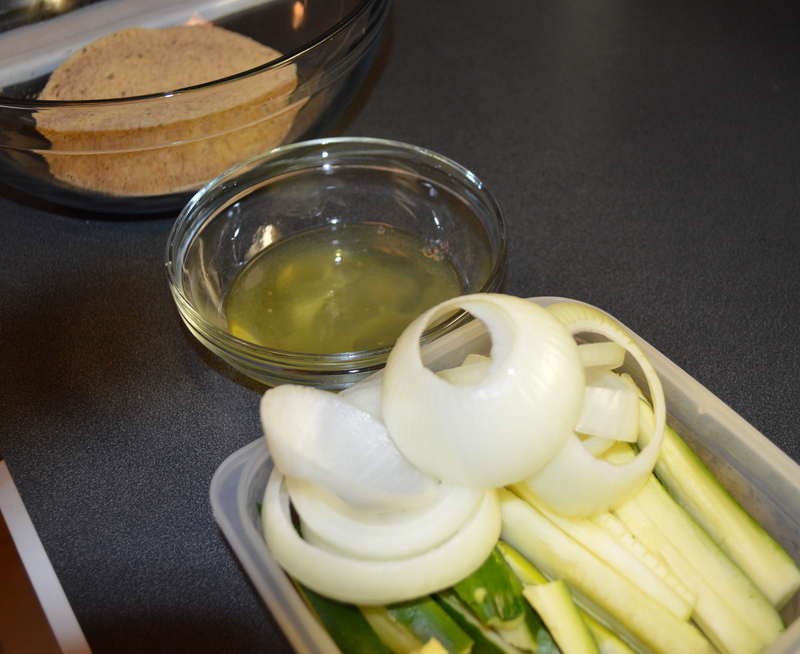 Slice your zucchini and onion. Dip your zucchini and onion slices in the egg whites and bread crumbs. Then place them on your baking sheet. Bake for 30 minutes. Flip veggies over after 15 minutes. Dip your zucchini fries and onion rings in the roasted garlic yogurt sauce (the sauce we made for our burgers above) OR a homemade spicy honey mustard (recipe will be revealed on my super bowl post to come)! 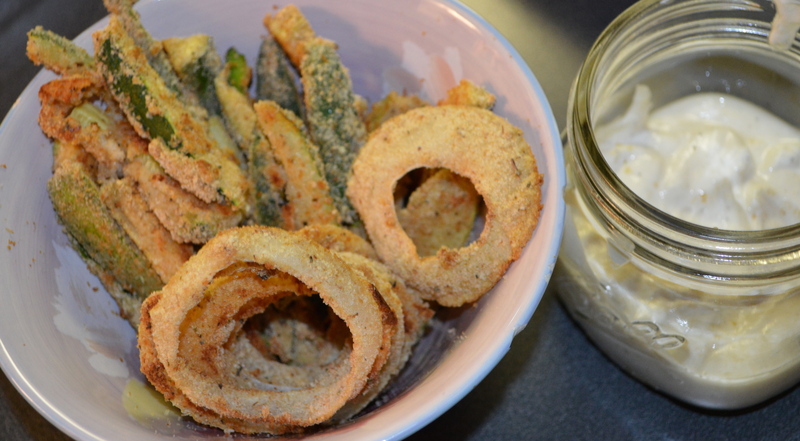 Zucchini Fries and Onion Rings dipped into Roasted Garlic Yogurt Sauce!